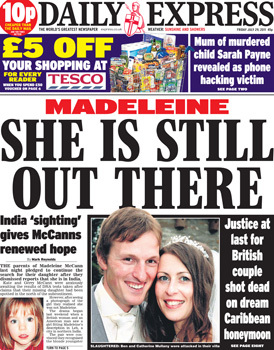 MADELEINE McCann has been spotted in…India. She was with a Belgian and French couple. Canada,Italy, Sweden, Portugal, Spain, Morocco, Majorca,Belgium, Bosnia, France, Australia, Brazil,Wales, Malta, Italy, Germany, Austrialia, France, Dubai, Dorset, USA and New Zealand (by boat). “At one point an American man is said to have tried to take the girl from the couple. However the French woman and her Belgian husband insist that they are the parents of the girl. Is it her or are all girls who resemble her going to be treated like this at some stage? It would be nice if it’s her but what about those poor, innocent parents if it isn’t? How long does it take to get the results of DNA tests? High drama prevailed in the busy Fort Road market of the city last night when three persons identified a six-year-old girl as Madeleine McCann, a British girl who went missing while on a holiday in Portugal in 2007. Where are the parents? But its probably just another ‘sighting’ no names of the people involved at all. But attempting to remove the child??? very bad form – not everyone will be that ‘sympathetic’ that its ok to do that. Our producer in Delhi as spoken to police, who say they’ve not heard about the DNA test or sighting of Madeleine #mccann. ITVCentral Leh police tell ITV News there is no child resembling #Madeleine #McCann in their custody and they are not aware of any such incident. So where did the news come from then? 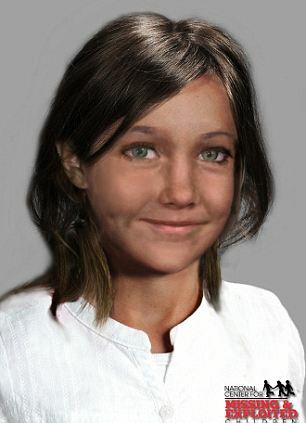 “Kate and Gerry do not believe the child seen in India was Madeleine. They have seen photographic evidence and concluded that it was not her.